The ROGERS® MH35 is big enough to be versatile and small enough to maneuver. 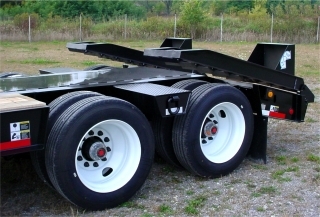 Plenty of ground clearance makes this 35-ton capacity trailer a good choice for oil field work. The 255/70R radial tires on 22.5 steel disc wheels help maintain a high load capacity with a low deck height. The gooseneck beams and main beams are made of 100,000 psi minimum yield steel. The pin type landing legs have 40,000 lb. static capacity. 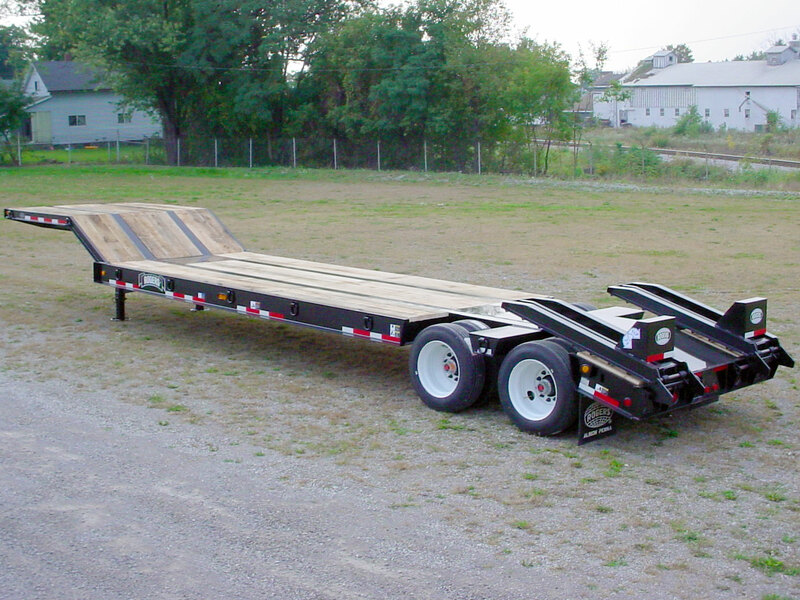 Pictured Option: Extra-large oak-covered loading ramps (96"L x 39"W) are hydraulic powered from the PTO on the tractor, or an electric/hydraulic power pack. 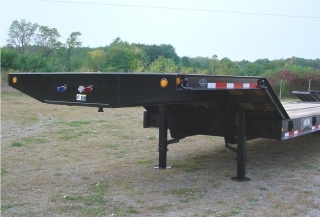 Standard deck toolbox with lockable steel lid is just behind the slope of the gooseneck; an optional oak lid is also available.